As a landlord in California, you may feel that the law is more protective of tenants than landlords. Indeed, many would agree that the Golden State is very tenant-friendly. When talking about the law, the word that usually collocates with tenant is ”right”, whereas ”responsibility” is more closely linked to landlords. It’s not uncommon that tenants exploit this situation quite forcibly, so it’s essential that landlords get well-informed about both their rights and responsibilities. In most cases, the best move is to seek professional help with eviction in San Diego to speed up the eviction process and avoid making rash decisions and typical mistakes. That said, here is the outline of the basic rights and responsibilities of a landlord in San Diego. A San Diego landlord has every right to charge rent to their tenant, regardless of whether the landlord and tenant have an oral or written agreement. The landlord and tenant have to agree on the monthly amount of rental compensation and also on the date the tenant will pay it every month. The landlord is entitled to collect the set rent at the agreed upon date every month, without exception. The landlord in San Diego is responsible for keeping the property they are leasing in a habitable condition. This implies that the landlord is obligated by law to handle repairs in the rental unit if they were not caused by the tenant. The cause for the repairs can be wear and tear, improper initial installation, etc. Nevertheless, the landlord is not responsible for any damage caused by the tenant, tenant’s friends, relatives or other visitors. What’s more, if the landlord can provide evidence of their tenant’s neglectful behavior towards their property, they could use it to speed up the eviction process. The landlord the right to expect the tenant will maintain the rental property clean, as is reasonably possible. The landlord is under no obligation to clean the rental unit or hire a cleaning professional to do so. There are cases, however, when slab leaks of pipes suddenly burst and cause water damage, or the property suffers a flood; in those cases, the cleanup comes as a result of an external factor and not the tenant’s activities. 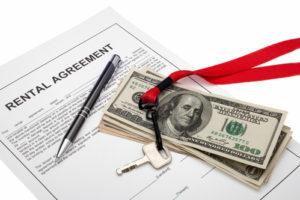 A San Diego landlord has both the responsibility to adhere to the rental agreement, written or verbal, and to expect the same from their tenant. The agreement is binding to both parties equally. If you need more information about your rights and responsibilities as a landlord in San Diego, or you need help with evicting a problematic tenant anywhere in San Diego County, contact San Diego County Evictions – your licensed, registered and bonded Unlawful Detainer Assistants, working alongside licensed attorneys, know the ins and outs of the eviction process and the best way to ensure a quick and favorable outcome for you.